The mind does funny things to our experience of time. Just ask French cave expert Michel Siffre. In 1962 Siffre went to live in a cave that was completely isolated from mechanical clocks and natural light. He soon began to experience a huge change in his perception of time. When he tried to measure out two minutes by counting up to 120 at one-second intervals, it took him 5 minutes. After emerging from the cave he guessed the trip had lasted 34 days. He’d actually been down there for 59 days. His experience of time was rapidly changing. From an outside perspective he was slowing down, but the psychological experience for Siffre was that time was speeding up. But you don’t have to hide out in a cave for a couple of months to warp time, it happens to us all the time. Our experience of time is flexible; it depends on attention, motivation, the emotions and more. People often report that time seems to slow down in life-threatening situations, like skydiving. But are we really processing more information in these seconds when time seems to stretch? Is it like slow-motion cameras in sports which can actually see more details of the high-speed action? To test this, Stetson et al. (2007) had people staring at a special chronometer while free-falling 50 metres into a net. What they found was that time resolution doesn’t increase: we’re not able to distinguish shorter periods of time when in danger. What happens is we remember the time as longer because we record more of the experience. Life-threatening experiences make us really pay attention but we don’t gain superhuman powers of perception. We’ve all experienced the fact that time seems to fly when we’re having fun. Or does it? What about when you’re listening to a fantastic uplifting piece of music? Does time seem to fly by, or conversely, does it seem to slow down? When this was tested by Kellaris (1992), they found that when listeners enjoyed the music more, time seemed to slow down. This may be because when we enjoy music we listen more carefully, getting lost in it. Greater attention leads to perception of a longer interval of time. The same thing happens when you have a really good, exciting day out. At the end of the day it can feel like you ate breakfast a lifetime ago. You enjoyed yourself enormously and yet time has stretched out. The fact that we intuitively believe time flies when we’re having fun may have more to do with how time seems to slow when we’re not having fun. Boredom draws our attention to the passage of time which gives us the feeling that it’s slowing down. Ultimately it may come down to how much you believe that time flies when you’re having fun. Sackett and colleagues tested this idea as well and found it was true. In their experiments, people who believed more strongly in the idea that time flies when you’re having fun were more likely to believe they were having fun when time flew. So, the whole thing could partly be a self-fulfilling prophecy. The stopped clock illusion is a weird effect that you may have experienced. It happens when you look at an analogue watch and the second-hand seems to freeze for longer than a second before moving on. I always thought this was because I just happened to look at it right at the start of the second, but this is actually an illusion. What is happening is that when your eyes move from one point to another (a saccade), your perception of time stretches slightly (Yarrow et al., 2001). Weirdly, it stretches backwards. So your brain tells you that you’ve been looking at the watch for slightly longer than you really have. Hence the illusion that the second-hand is frozen for more than a second. This happens every time our eyes move from one fixation point to the next, it’s just that we only notice it when looking at a watch. One explanation is that our brains are filling in the gap while our eyes move from looking at one thing to the next. When things happen very close together in time, our brains fuse them together into a single snapshot of the present. For vision the shortest interval we can perceive is about 80 milliseconds. If two things happen closer together than that then we experience them as simultaneous. The shortest possible gap in time we can distinguish across modalities (say visual and auditory) is between 20 and 60 milliseconds (Fink et al., 2006). That’s as little as a fiftieth of a second. When we’re tired, though, our perception of time goes awry and we find it more difficult to distinguish between short spaces of time. This fact can be used to measure whether people are too tired to fly a plane, drive a truck or be a doctor. Indeed just such simple hand-held devices that quickly assess your tiredness are already being developed (Eagleman, 2009). Vohs and Schmeichel (2003) had participants watch an 11 minute clip from the film Terms of Endearment. Some participants were asked to remain emotionally neutral while watching the clip and others were told to act naturally. Those who tried to suppress their emotions estimated the clip had lasted longer than it really had. People report all sorts of weird experiences with time when taking drugs like psilocybin, peyote or LSD. Time can seem to speed up, slow down, go backwards, or even stop. But you don’t need drugs to enter an altered state of consciousness, hypnosis will do the trick. People generally seem to underestimate the time that they’ve been under hypnosis. One study found this figure was around 40% (Bowers & Brenneman, 1979). 7. Does time speed up with age? People often say the years pass more quickly as they get older. While youthful summers seemed to stretch on into infinity, the summers of your later years zip by in the blink of an eye. A common explanation for this is that everything is new when we are young so we pay more attention; consequently it feels like time expands. With age, though, new experiences diminish and it tends to be more of the same, so time seems to pass more quickly. Whether or not this is true, there is some psychological evidence that time passes quicker for older people. One study has found that people in their 20s are pretty accurate at guessing an interval of 3 minutes, but people in their 60s systematically overestimate it, suggesting time is passing about 20% more quickly for them (Mangan & Bolinsky, 1997). The emotions we feel in the moment directly affect our perception of time. Negative emotions in particular seem to bring time to people’s attention and so make it seem longer. Research on anxious cancer patients, those with depression and boredom-prone individuals suggests time stretches out for them (reported in Wittmann, 2009). Just like life-threatening situations, negative emotions can concentrate our attention on the passage of time and so make it seem longer than it really is. This effect may be made worse by our efforts to regulate these negative emotions (see number 5), which also has the effect of stretching time. If you’ve ever had a fever then you’ll know that body temperature can have strange effects on time perception. Experiments have found that when body temperature is raised our perception of time speeds up (Wearden & Pento-Voak, 1995). Conversely when we are cooled down, our sense of time also slows down. Setting aside emotions, age, drugs and all the rest, our experience of time is also affected by who we are. People seem to operate to different beats; we’ve all met people who work at a much slower or faster pace than we do. Psychologists have found that people who are impulsive and oriented towards the present tend to find that time moves faster for them than others (from O’Brien et al., 2011). There’s little research on this but it’s likely that each of us has our own personal tempo. Research has found that when different people listen to metronomes the number of beats per minute they describe as comfortable ranges from as slow as 40 bpm up to a high of 200 bpm (Kir-Stimon, 1977). This is a large range and may help to explain why some people seem to operate at such a different pace to ourselves. 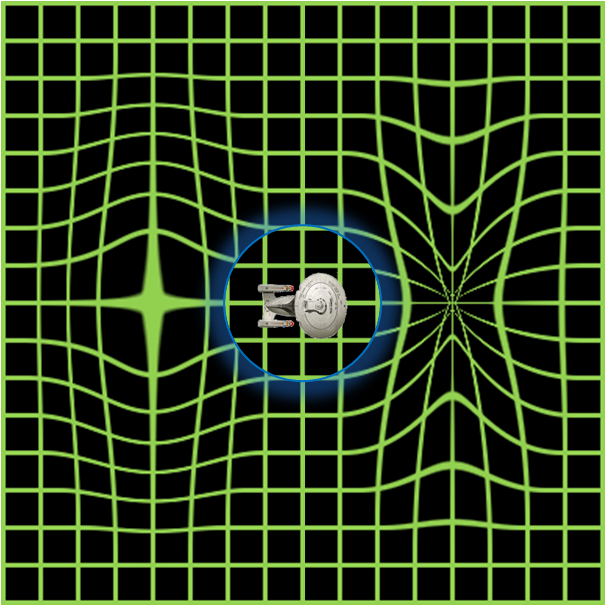 via 10 Ways Our Minds Warp Time — PsyBlog. This entry was posted in Uncategorized and tagged Anxiety, Fear, Mindfulness, Time. Bookmark the permalink.